Karen Lloyd and Charli Blighton have created this wonderful piece about the current remaining independent record shops in Birmingham talking to the owners about why and how they keep their shops open in the face of the recession and more people buying either online or opting for MP3’s instead of physical artefacts. 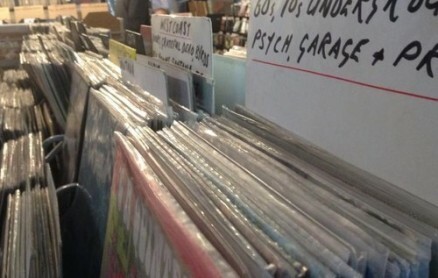 The owners also fondly reminisce and recall their record buying days in Birmingham when there were plentiful shops to purchase your vinyl treasures. Does anyone remember Reg Vincent’s record shop in a passageway the other side of New Street from Burlington Arcade? Sixties? It was all vinyl those days. Yes I bought many records from Vincent’s over the years. A real little gold mine. Many fond memories. Do you mean Vincents of Needless Alley,which sold mostly classical records? I used it from the early 1970’s and well into the 80’s before it closed. Always a good place for a chat. The staff included John and Brian Humphries. does anyone remember a record shop around 1995 at the base of the multistorey carpark in digbeth opposite-ish the leather shop/St. Martins church? Can’t find any mention of it anywhere! !